Printer’s Row, a south Chicago loop neighborhood, boasts a long history. In the late 19th century the area was home to Chicago’s printing and publishing industry, as well as the city’s main passenger train hub, Dearborn Street Station. 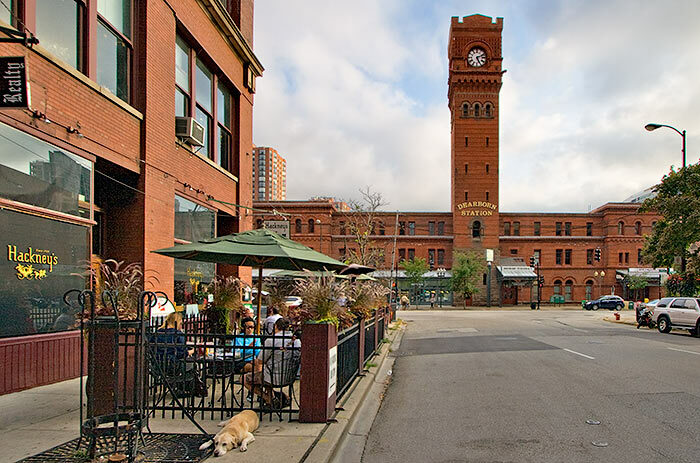 Today, the buildings have mainly been converted into residential lofts making it one of Chicago’s relatively newer residential neighborhoods. The area has also recently become a more student-oriented center with the addition of the University Center, housing over 3,000 college students in dorm and apartment style units. Printer’s Row is home to Lit Fest which has been held early June along Dearborn Street for over 30 years. Forest Security is family owned and operated and has proudly served Printer’s Row and the entire Chicagoland Area for over thirty-five years. Forest will customize a complete security and home automation system for your specific needs and requirements to ensure both safety and convenience. You will have several options from which to choose so you know your custom system will be the perfect fit for your lifestyle and budget. Forest specializes in security for loft style living as well as large multi dwelling units. Your complete satisfaction is top priority. Our Security Specialists along with our excellent Customer Service Representatives and our highly trained Technical Staff, work in unison to ensure your security and complete peace of mind. Call Forest today at 708-452-2000 for your FREE, no obligation security consultation and proposal.